Event technology opens many new opportunities for planners and attendees. Using the right tools allows you to understand your audience better, deliver better social media campaigns and plan special event activities. To find the best software to fit your needs, read customer reviews for honest insights on event planning tools. Events can be a great way for people to learn and connect with like minded people. With today’s technology, attendee engagement is stronger than ever. Large events, ceremonies, or conferences can last hours or even days. Event planners need to find creative ways to keep attendees, who are used to instant gratification, real-time updates, and entertainment, satisfied with the event’s agenda. Event management tools and modern technology can help planners better understand their audience, find what delights them, and enable them to have a highly impactful experience. We are going to dive into three tips and tools that can help you pull off your best event yet. With today’s technology, you can gather more up-to-date attendee data before the event begins and receive instant updates to see how attendees are receiving the lectures, activities, products, etc. 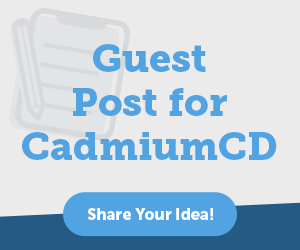 With event management tools, like CadmiumCD, you can gather audience data before registration, during the event itself, and after the event finishes. This can help you gather insights on who is attending your event and what they get out of it. The better you know your audience, the better you can build and measure effective social media campaigns, create special activities, like raffles or games, or enhance networking opportunities. You can only improve your user experiences if you have the data to guide you. One of the best ways to engage attendees with your event is with beautiful, fun, and strategic social media campaigns. 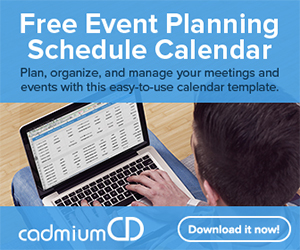 Create official event hashtags to gather interest from attendees before the event starts. Prizes and other incentives can motivate people to retweet or share event content during and after the event. Industry influencers can share how valuable your event will be on their pages. Social media campaigns are an organic way for people to share what they are learning and excited about at your event. Need help with planned posts and consistent messaging across multiple marketing channels? Consider using a social media management tool like Spredfast to optimize your social engagement efforts. Games, raffles, and special activities are a great way to engage your event community. Virtual reality (VR) and augmented reality (AR) are some of the most technologically savvy ways to enhance your event. Mixed or hybrid realities can make showcasing new technology, like cars or industrial machines, more engaging for attendees. Virtual games can put attendees in a completely new environment with the use of headgear or a VR system. Depending on what your conference aims to convey, VR and AR can let your audiences explore your field in exciting ways. Google Cardboards are a popular and simple way to create virtual realities for groups. Groups can visit new places, play games, and more.